For example, he is one of the few practicing yogis -living today- that is willing to do all the research and practice, and translate it into plain English so we can all understand what yoga means, as a whole. On Episode 3 Gregor acts like a catalyst of understanding for all of us to really get it. It is amazing how he can make it all so clear in less than an hour. There is plenty of meditation out there, but nobody talks about how it connects to yoga, specifically. The focus of present-days-schools is so heavily on asana (poses) that people like me end up looking elsewhere, not in yoga itself. I met Gregor because of his books and I am glad I did because once I started reading I could not put them down. In fact, I have reviewed all of them here on the blog, and even created a book club around the one on Pranayama because I was surprised that someone could make yoga knowledge so accessible, clear and down to earth. Which brings me to this podcast. 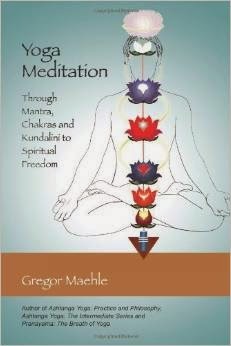 Gregor wrote his fourth book completely dedicated to meditation. Specifically to how meditation fits within the yoga tradition, as one of the eight limbs. Through integrating all practices, and including mantra, chakras and kundalini. And there is the “K” word. One I am not fond of, because there is so much b/s around it in the world. But that is NOT the case here. When Gregor talks about kundalini we hear the ancient texts, 6000-year-old words, backed by people whose practices flourished over millennia. Because schools all over the world focus on the poses, there are non that actually teach “meditation as per yoga”. Some teachers teach something they learned from a Buddhist tradition or a Tibetan lama… or Whatever… mixing it up. This causes people like me to start dabbling into Vipassana or Shambhaa or Insight Meditation or all other denominations. And by that I mean, how did the yogi researches who have sat and practiced for 3, 4, 5 thousand years approach it? How have they done it? What can we learn from them? What happens exactly after asana is “established”? What is it that moves the practice forward into the mysteries, into being fully present, into the higher states? How come we can practice for decades and still be mean to each other? The fifth limb of yoga is withdrawing the senses… Is there a way to “DO SOMETHING ABOUT IT”? Why it is important to “clear” your life, from emotional issues, to clarify money issues, sexual issues etc… Otherwise the “downward energy” will pull you down, and never let you uplift. How to choose a teacher. The very difficult question of finding someone who is REAL today… And how Gregor talks about the only qualification for initiation… And it is “self-initiation”. Thank you Gregor! Gregor’s Book “Meditation” Spills Out All The Yoga Secrets: Will We Read? So You Think You Are An Expert In Yoga? Can You Contain Your Prana Within A Foot? How Many Breaths Do You Take Per Minute? Announcer: Welcome to The Yoga Podcast, keeping it real with your host, Claudia Azula Altucher. Claudia Altucher: Good morning. Welcome to The Yoga Podcast. I’m thrilled to have with me Gregor Maehle. He is a practitioner of yoga and he has been practicing for over 35 years. In the middle of the 1980s, he started traveling yearly to India, where he studied with various yogic and tantric masters. 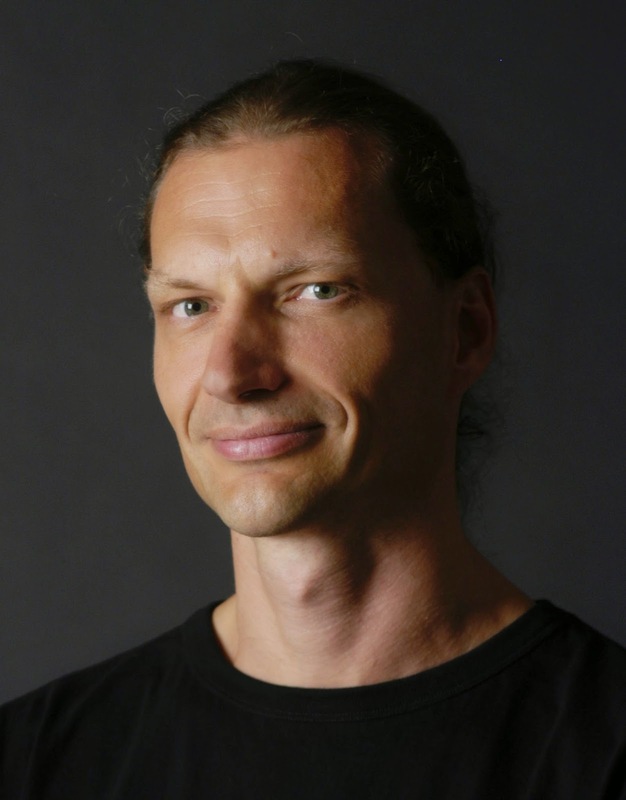 Gregor has published four amazing books – two on yoga asana, the primary and the intermediate series of ashtanga yoga, one on pranayama, and one on meditation, and these books have been translated into many languages. His teachings incorporate not just posture, but also, purification, pranayama, meditation, devotion, and yoga philosophy, and he offers workshops, retreats, and teacher trainings worldwide. The main blog website is http://www.8limbs.com. Gregor, welcome to the show. I’m thrilled to have you. Thanks for joining me. Gregor Maehle: Thanks for having me, Claudia. It’s a great pleasure. Claudia Altucher: That’s great. So it’s 8:00 PM in Sydney, right? Gregor Maehle: That’s right. Yes, it is 8:00 PM here. Claudia Altucher: And what did you do today? Gregor Maehle: The day today was spent with practicing yoga and reading some yogic texts and doing heaps of meditation and doing a bit of gardening. Claudia Altucher: Oh, how nice. Gregor Maehle: Yeah, I’m just after a tour. I recently came back from Tokyo and I taught in Bali and on the Australian West Coast, so this is basically a bit of a holiday for me. Claudia Altucher: That’s nice, and I saw some photographs in Facebook. You get a large following of students in your workshops, about 60, 70 people? Gregor Maehle: Yes, that’s correct, yeah. Yes, that is correct. Claudia Altucher: Yeah, that was very interesting that you attract a large gathering. I guess that’s wonderful. 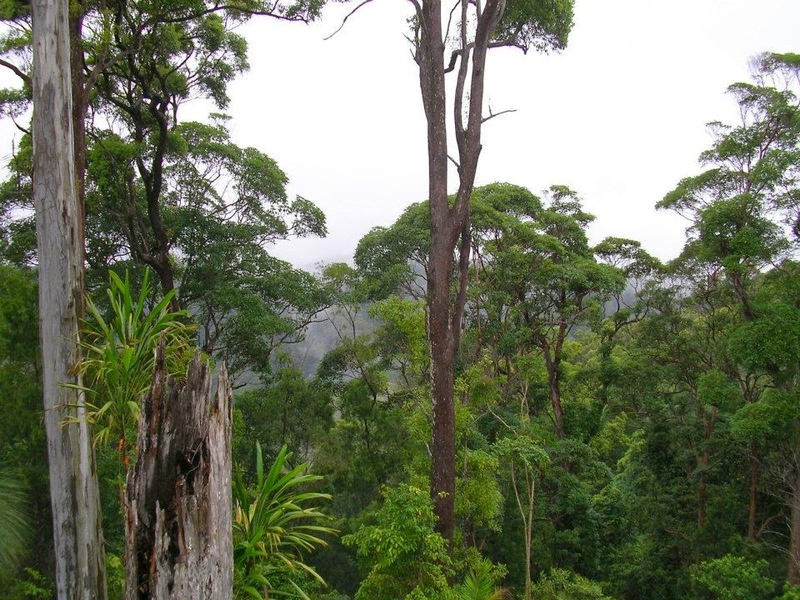 I saw that recently, you and your wife, Monica, bought some land and you are now living in a forest. Gregor Maehle: Yes, that’s right. Yeah, that might be part of why the phone connection is not that great because I’m not really inside of civilization, so yes, I do live in a rainforest on a mountaintop overlooking the Pacific Ocean. Claudia Altucher: That sounds wonderful, and do you find that the connection with nature at that level helps you with the practice? Gregor Maehle: Very much so, very much so, and I guess that is something that is often emphasized in the ancient yoga texts, that from a certain point onwards, it is suggested that the yogi move into nature to devote themselves more seriously to the so-called higher limbs of yoga. Claudia Altucher: Right. Yes, and that’s what I wanna talk about today, because, I mean, I am a big fan of your books, as you know. I’ve reviewed them, I’ve talked about them, and they’re very – they have a lot of the technique and you’ve done a lot of research around every one of them, so you talk about how different stages look at different parts of the practice, and you have this distilled knowledge of your lifetime work into them, and to me, it’s like someone finally decided to write all of the secrets of yoga and put them in four-book form, which is a blessing to all of us. But the one I want to focus is the latest one, called Yoga Meditation, and because I think there’s a lot of confusion when it comes to meditation. Would you agree with that? Claudia Altucher: Right, right. You say in this book, for example, that you’ve watched in amazement, a little bit, that many students are, perhaps, get frustrated with teachers that teach only the asana, or the poses part, and then they start looking on their own for meditation techniques, and then they end up maybe doing Buddhist techniques. And that described me. That’s what I did. So for example, I went to a Vipassana, and it’s not really the yoga tradition of meditation. Gregor Maehle: No, no, certainly not. If you look at, for example, into the Yoga Sutra, which is the defining text of yoga, it’s many thousand years old, and there in the Sutra 3.2, for example, the sage Patanjali says that meditation that is Dhyana in Sanskrit is defined as a permanent stream of awareness from the meditator towards the object of meditation and a permanent stream of information from the object back to the meditator, which is, of course, a quite different idea of what we have in Vipassana and in Buddhism. Claudia Altucher: Right. So for example, in Vipassana, they just instruct you to watch the breath and then watch for sensations in the body, and so the idea is that all stuff – all conditioning stuff will come up and you won’t – you will not react to it in the same way you did before and eventually will clear up, but what I found very interesting is that you say, “Yes, you may prevent yourself from overreacting in the future – ” I’m paraphrasing – “to past reactions, but it will not take you deeper into meditation as the yoga tradition does.” Am I getting that right? Gregor Maehle: Yes, I guess the main thing of this – about this Vipassana definition would be, Vipassana is actually something that has developed out of Buddhism, and the main difference between the Buddhism and the Vedanta, which is the Indian or the Hindu equivalent of the Buddhism, and what we teach in yoga is that according to those so-called idealistic schools like the Buddhism and the Advaita Vedanta, the world is an illusion, whereas in yoga, the world is seen as real. So the meditator has actually a keen interest in the world, which is, for us, much more interesting than, for example, our own conditioning. Claudia Altucher: Mm-hmm, mm-hmm, I see. And so this sort of concentration that you were describing or focusing on an object and receiving from the objet is actually more the way of yoga. It’s not so much observing sensations; it’s concentrating on an object. Gregor Maehle: Yes, that’s right. So for example, we wouldn’t really – I mean, you know, the yoga’s very much interested in placing the body in, let’s say, a perfect position, which the yogis would consider that either Padmasana, the lotus posture, or Siddhasana, a similar posture to that, would be perfect yoga positions for various reasons, but one of the reasons is that in those positions, the body can eventually become so light and effortless that we can completely go beyond the body. That means leaving the body behind so that they can go deeper into the spiritual aspects of the meditation. Gregor Maehle: Just cut out. Claudia Altucher: Oh, I’m sorry. Can you hear me now? Gregor Maehle: Yes, I can hear you. Sorry about that. Gregor Maehle: Yes – yeah. Okay, there’s actually a so-called “meditation bench,” which brings ___ in a similar position as the Virasana position, so – but you’re basically sitting in a kneeling position, but you’re not sitting on your heels, but your sit bones are slightly elevated. Gregor Maehle: So yeah, so that would be – the advantage of such a meditation bench is that your spine is still in the ideal double-S curve.